We believe that technology and expertise only go so far. We believe that the human quotient is the most important ingredient in medical care. And we believe that you should be able to find all those “ingredients” under the same roof. We’re an independent, physician-owned and operated comprehensive anatomic pathology laboratory, serving Wichita and southcentral Kansas. Our clients are medical clinics, physician practices, surgery centers and hospitals who demand precise and timely pathology services for their patient population. 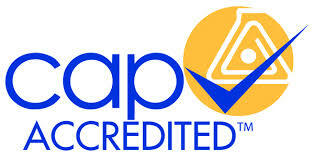 Our staff of 10 physicians represents the largest body of professional pathologists in the area. This enables us to provide a broader range of services in-house. The result is more hands-on expertise – without delay to you, or your patients. With over 175 years of collective pathologists’ experience, while partnering with a team of 10 histotechnologists and 4 pathologist assistants that bring another 180 years of total experience, we are truly a “full service” pathology lab. And we’re ready to serve you. Why is more actually better? Because at Southcentral Pathology, we believe that the whole is greater than the sum of its parts. We're proud to offer the largest collection of professional surgical pathologists in southcentral Kansas, who have been trained by world-renowned experts, and exposed to more diverse cases at some of the largest and most challenging pathology programs in the nation.